Why Should High-Income Countries Help Combat Ebola? The outbreak of Ebola in West Africa is devastating to the affected countries. With no specific treatments or preventive measures available, Ebola has, to date, caused almost 2300 deaths,1 overwhelmed fragile health care systems and thereby led to inadequate care for other serious diseases, and slowed economic activity. Yet Ebola most likely will not become a global health threat.2 Ebola only spreads through direct contact with infected bodily fluids, and containment is readily achievable in high-income countries. This undermines the standard rationale for these countries to address infectious disease outbreaks in other regions—namely, to protect their own populations. For example, fear of global spread has been a key motivation for addressing influenza outbreaks in southeast Asia. Why, then, should high-income countries help the affected countries combat Ebola and strengthen their health systems and infrastructure in the longer term? Three independent reasons justify action. First, everyone has obligations of humanitarian assistance to help others in dire need if the cost or imposition is minimal.3 This idea underlies the notion of a “Good Samaritan.” Most people recognize that, if a person is walking past a shallow pond and sees a child drowning in it, that person should wade in and pull the child out—even if that means risking minor injury or being delayed. Severe moral opprobrium and social stigmatization—if not legal penalties—are appropriate if you do not rescue the child. By analogy, societies have an obligation to help people affected by Ebola when the cost or imposition of doing so is minimal. Severe morbidity and mortality from Ebola are tragic occurrences, independent of where people live and whether societies or other countries have special relationships with those affected. Effective help for Ebola is available at relatively minimal cost for high-income countries. Supportive treatment and containment measures—implementing isolation of suspected cases, infection control and universal precautions, contact tracing and monitoring, surveillance, and raising awareness in local communities and internationally—have a proven track record of controlling Ebola outbreaks. Moreover, the resources necessary for these measures are small, even trivial. So far, the World Health Organization (WHO) has pledged $100 million, the World Bank $200 million, the European Commission $181 million, and the United States $75 million to combat this outbreak.4 Even if ultimately $1.5 billion is needed, this represents less than 1 penny for every $100 of the US $16 trillion gross domestic product in 2012, and just 1 penny for every $390 of the gross domestic product of the world’s 20 largest economies. By any measure, this constitutes an insignificant imposition on citizens of high-income countries. Virtually all high-income countries are thus in a position to effectively help curb the Ebola epidemic, without sacrificing much of importance. The moral obligation of humanitarian assistance requires doing so. Conversely, another important position in the philosophical debate about global justice—so-called statism—maintains that obligations of justice are primarily focused on fellow citizens.8 But even statists endorse minimal obligations of global justice. While rejecting demands to equalize living standards, statists recognize that high-income countries have obligations to meet the basic needs of people living in extreme poverty on $1.25 a day or less. Moreover, the world is now interconnected through communications, collaboration, trade, finance, and pollution. This interconnection implies that everyone’s life prospects are influenced by global events. For example, the devastating civil wars in Sierra Leone in the 1990s were fueled by the illicit international diamond trade. Governmental corruption—often facilitated by corporate contracts for mineral or other resources—keeps many countries, including in sub-Saharan Africa, in poverty and lacking basic infrastructure. Even statists acknowledge that high-income countries have obligations to compensate for such injustices. Statist advocates thus endorse obligations to ensure that people everywhere can lead a minimally decent life. This would include obligations of high-income countries to help contain Ebola and—given that the affected countries are some of the least developed worldwide—to offer limited assistance with strengthening health systems and infrastructure in the longer term. Importantly, even those scholars and policy makers who typically reject foreign aid as counterproductive support international health programs.9 Health aid is different, in their view, because the great benefits of saving and improving lives outweigh the costs of undermining local governance and democracy. Therefore, even in the most restrictive and skeptical views, obligations of global justice support containing Ebola and continuing limited assistance to strengthen health systems after the epidemic subsides. Ethical requirements for research demand that sponsors provide fair benefits to communities who are engaged in any research in this, or future, outbreaks.10 While there are many benefits that sponsors and communities could consider—such as making any proven interventions available to the population (“reasonable availability”) or building schools—the most pressing benefit likely is contributing to containment and strengthening local health systems and infrastructure. High-income countries are sponsoring research evaluating specific Ebola treatments and vaccines largely because Ebola is perceived as a potential national security threat. For example, the US government has already spent millions of dollars on Ebola research, partly because it regards the disease as a threat to US soldiers and aid workers, and partly because it fears development of Ebola as a bioterrorist weapon. The Ebola epidemic in West Africa is harrowing, but it is unlikely to become a global health threat. High-income countries nevertheless have 3 compelling reasons to help combat Ebola and strengthen health systems and infrastructure in affected countries in the longer term: the duty to provide humanitarian assistance; obligations of global justice to ensure, at least, that people everywhere can lead a minimally decent life; and the ethical requirement to provide fair benefits from any research conducted during the epidemic. Corresponding Author: Annette Rid, MD, Department of Social Science, Health & Medicine, King's College London, Strand, London WC2R 2LS, United Kingdom (annette.rid@kcl.ac.uk). 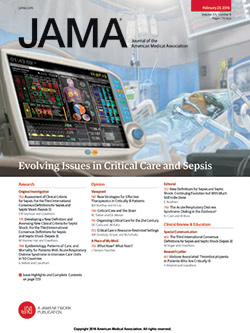 Published Online: September 11, 2014. doi:10.1001/jama.2014.12869. Conflict of Interest Disclosures: The authors have completed and submitted the ICMJE Form for Disclosure of Potential Conflicts of Interest. Dr Rid reported receiving funding from the People Programme (Marie Curie Actions) of the European Union's Seventh Framework Programme (FP7/2007-2013) under REA grant agreement 301816. Dr Emanuel reported receiving payment for speaking engagements unrelated to this work. Additional Contributions: We thank Dr Verina Wild, Institute of Biomedical Ethics, University of Zurich, for inspiring this article and for comments on an earlier version. World Health Organization. Ebola Response Roadmap Update, 8 September 2014. http://apps.who.int/iris/bitstream/10665/132834/1/roadmapupdate8sept14_eng.pdf?ua=1&ua=1. Accessed September 9, 2014. Bennett S. Ebola fight gets $250 million U.S., Europe funding boost. http://www.bloomberg.com/news/2014-09-04/obama-help-sought-on-ebola-as-who-cites-budget-cut-limits.html. September 5, 2014. Accessed September 9, 2014. Caney S. Justice Beyond Borders: A Global Political Theory. New York, NY: Oxford University Press; 2005. World Health Organization. Rapid advice: antiretroviral therapy for HIV infection in adults and adolescents. http://www.who.int/hiv/pub/arv/rapid_advice_art.pdf. November 2009. Accessed September 9, 2014. World Health Organization. Global Health Observatory: density of physicians and per capita total expenditures on health at average exchange rate. http://www.who.int/gho/health_systems/en/. Accessed September 9, 2014. Rawls J. The Law of Peoples. Boston, MA: Harvard University Press; 1999. Deaton A. The Great Escape: Health, Wealth and the Origins of Inequality. Princeton, NJ: Princeton University Press; 2013.